On Wednesday afternoon, the Legal League 100 continued its series of complimentary webinars with a presentation entitled “Developments in Vacant and Abandoned Property Law.” Hosted by Stephen Hladik, Partner, Hladik, Onorato & Federman LLP, the webinar provided an overview of vacant and abandoned property state statutes in effect, states with legislation pending, and what a model definition of “vacant” or “abandoned” property should be on a national level. Many of the problems stem from the lack of a consistent, nationwide legal definition of what constitutes a “vacant” or “abandoned” property. Servicers, property preservation vendors, and financial services attorneys alike are often hampered by the inconsistency of these definitions across state lines, and by the fact that they are often confusing even within them. "While the number of total foreclosures nationwide may be declining, there is still a major issue facing lenders, servicers, cities, and municipalities in how to deal with the problems created by vacant or abandoned properties," Hladik said. "The risk of loss on these types of properties is obviously much higher than an occupied property, and lenders or servicers need new and innovative tools to be able to minimize the risk by shortening foreclosure time frames wherever possible." Hladik—who also participated in DS News’ “Zombie Homes—Challenges and Guidance” webinar this past summer—started with the basics, defining exactly what constitutes a “zombie property” and diving into the unique legal, servicing, and property preservation challenges presented by abandoned properties that are stranded in some stage of the foreclosure process. Hladik also discussed why this type of abandoned property is so prevalent in states with judicial foreclosure processes. 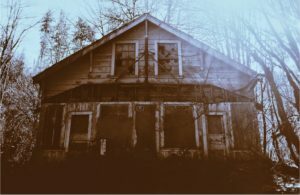 As Hladik explained, the nationwide number of zombie properties has been on the decline since peaking during the financial crisis, but they still remain abundant enough to cause problems in states such as New York, New Jersey, Florida, Illinois, and Ohio. Hladik then examined how effective so-called “fast-track foreclosure laws” had been in the states which have adopted them, including New Jersey, Washington state, and Connecticut, to name a few. The webinar then delved into recent legislation in states such as Pennsylvania, which passed two noteworthy anti-blight laws in June of 2018, designed to more clearly define “vacant” and “abandoned,” as well as to generally help expedite the process of maintaining these properties during the foreclosure process and then getting them turned and back on the market as soon as possible. You can view the full PowerPoint presentation for the webinar here.